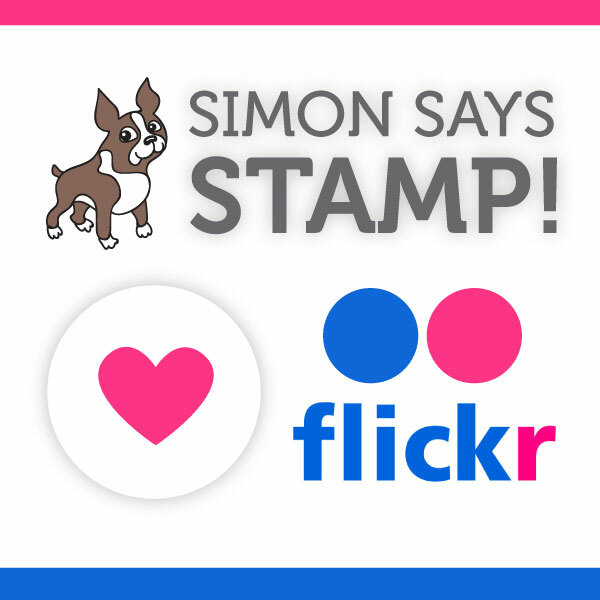 I really enjoyed coloring these stamped images! The little animals are so cute. I colored each with Copic markers and cut them out by hand. 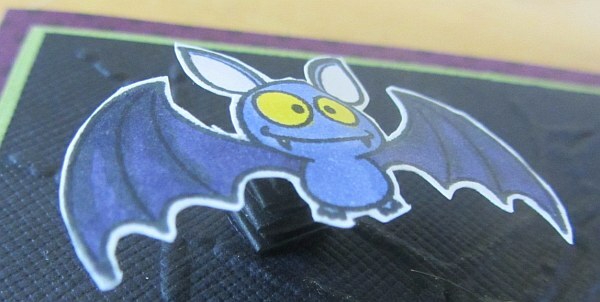 I popped up the frog with some foam adhesive and made a little spring out of paper so the bat would pop out and wiggle a bit. 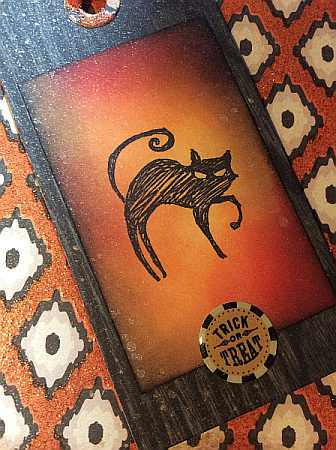 The background is black cardstock embossed with the Cobwebs Texture Fades by Sizzix. 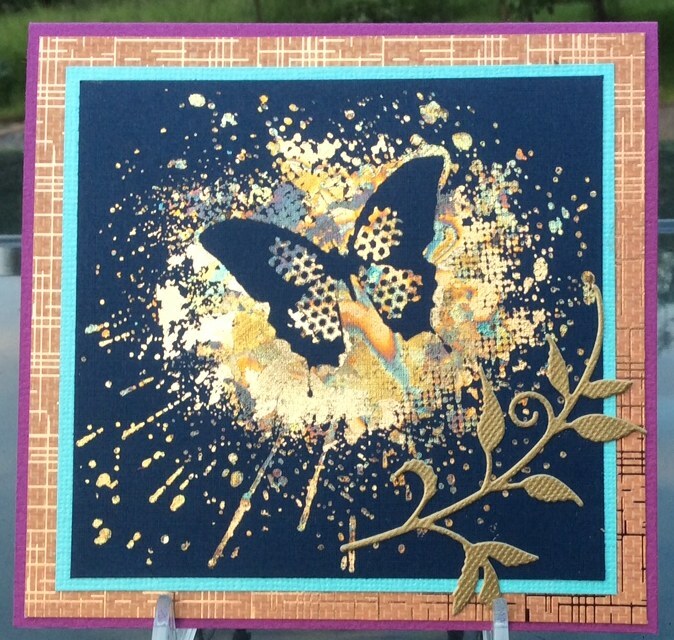 I was so pleased to be able to borrow the embossing folder from a friend while I was putting this card together! I then colored the web with my Wink of Stella pen for some sparkle (you know, the way a web would sparkle in the sun). For a closer look, some of the details are shown below. 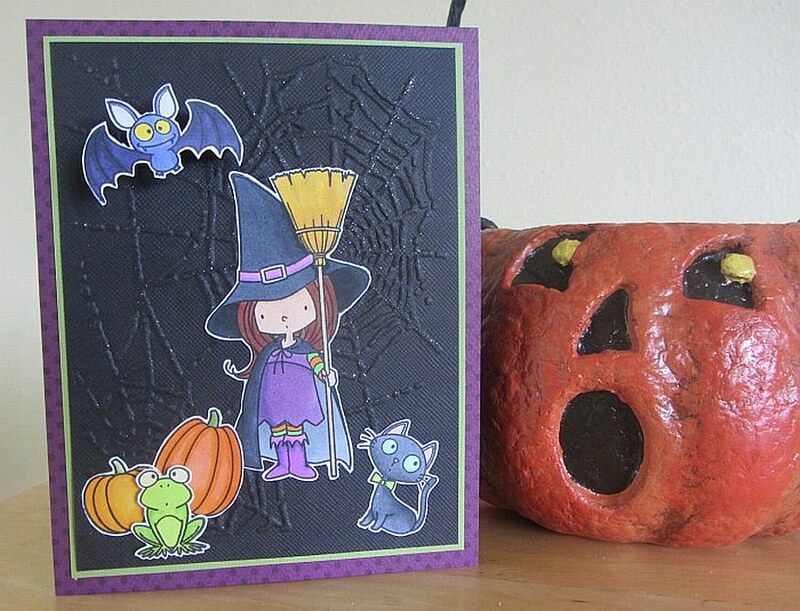 I am entering this into the Friday Mashup Challenge this week for its Halloween theme. 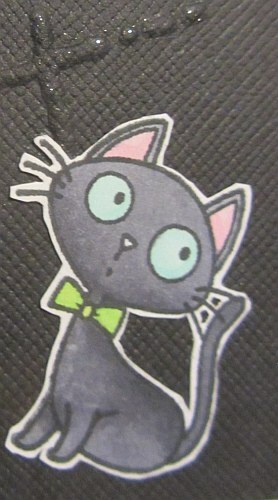 I’ve also been coloring along this month with Kathy’s coloring challenge at The Daily Marker: 30 Day Coloring Challenge. We try to color at least 10 minutes a day! Thanks for visiting today. This is a very simple card in which I used a number of images from the new Lawn Fawn “Snow Day” clear stamp set. I colored the bunnies with Copic Markers and edged the elements with Black Soot Distress Ink. 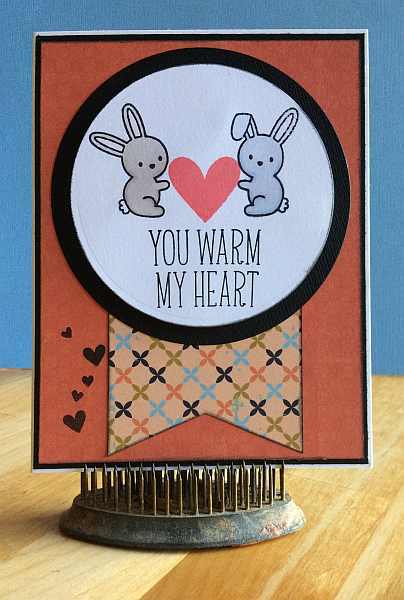 I added a smattering of little stamped hearts from the same stamp set down the left side of the main panel to tie the heart theme up. 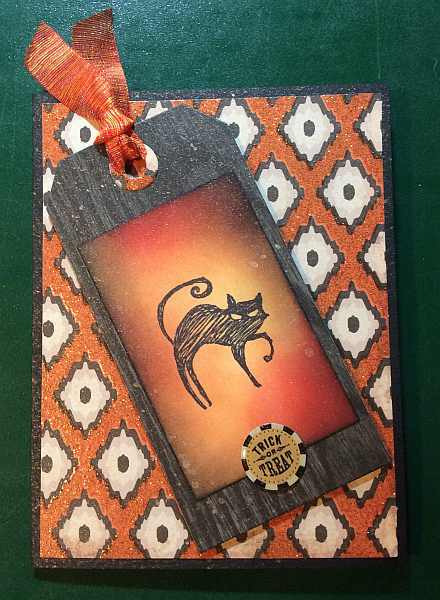 This week’s Friday Mashup challenge (#175) is to create a card using animals, so here it is. Thanks for visiting. 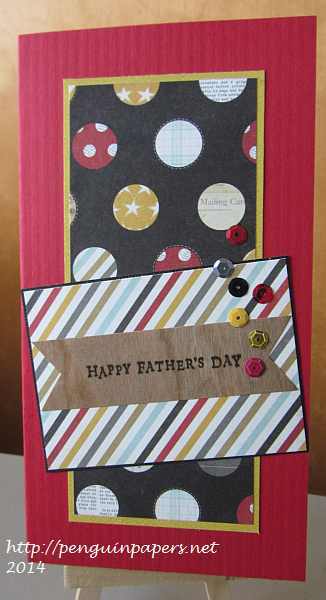 Sequins – Doddlebug Designs, Inc.
Today’s Father’s Day card was created in response to the Friday Mashup Challenge. 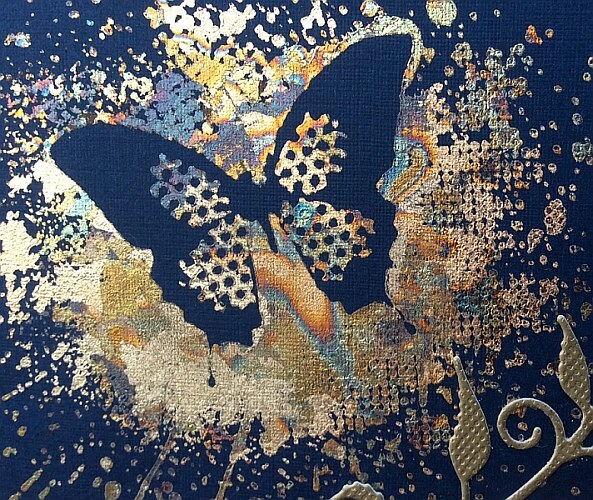 I was to create a project for Father’s Day stamping on anything but cardstock. So I selected wood tape for my stamping surface. It seemed appropriate for a masculine card. This is the card my son and I gave my husband this morning. Thanks for stopping by.